Home Fashion	WINNER OF THE SIGMA F45 BUFFER BRUSH….. Your wait is finally over….If I have kept you waiting I am sorry for that but I always make sure that I enter all the entries properly and dont miss out anything or anyone. WINNING IS BY LUCK THOUGH!! 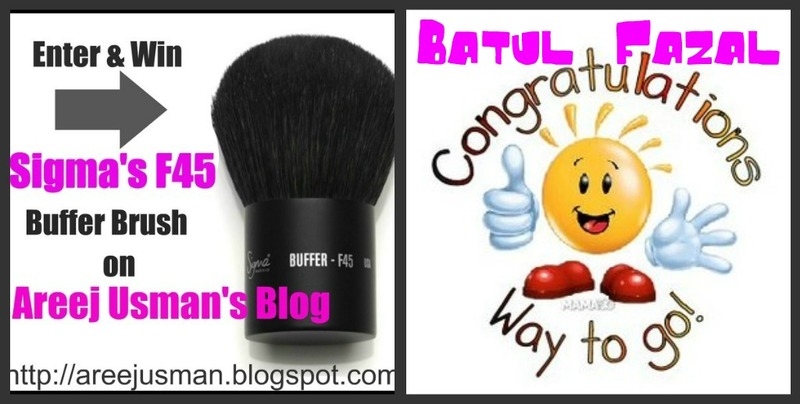 I am happy to tell you that the WINNER Of the SIGMA F45 Brush Giveaway on my blog has been chosen at random.org!! Lets move to know whose the lucky one!! I am emailing you right now!Please contact me within 48 hrs to claim ur prize with ur full shipping details.I have to forward your details to Sigma so that they can ship your brush asap!